Seasonal flu activity has reached 'elevated concern' status in the United States according to the weekly influenza surveillance report from the Centers for Disease Control and Prevention (CDC). The flu is currently widespread throughout the continental U.S. While traditional preventative measures of hand hygiene and vaccinations attempt to combat the spread of the flu, additional tools in the distribution flu arsenal are hard at work providing supplies for prevention, diagnosis and treatment. Distributors, like Concordance, take extra care this time of year to ensure customers are provided with the supplies they need, when they need them with the ultimate goal ensuring the uninterrupted delivery of quality products. Surgical masks help protect others from infected individuals spreading the flu, as they create a barrier from aerosolized exposure from coughing, sneezing and even simply exhaling. If you’re not sick and those you work or live with are exhibiting flu symptoms, wear a secure, tight-fitting, surgical face mask ensuring there are no gaps around the sides. Masks come in a wide variety that healthcare providers can use depending on individual and unique patient populations. There are even fun masks for pediatric patients that feature cartoon characters to bring a little extra cheer and comfort. Other masks include specialty masks for higher risk patients such as a respirator mask. These masks are respiratory protective devices designed to achieve a very close facial fit and ultra-efficient filtration of airborne particles. Properly fitting masks provide added protection. However, even a properly fitted mask does not completely eliminate the risk of illness or death. You can never be too safe when it comes to flu season. Efforts to increase and ensure patient safety in hospitals, long term care facilities and emergency rooms include restricting non-patient visitation and utilizing sanitization products. Implementing restricted visitation policies or patient visitation guidelines during elevated flu activity can be an effective effort to ward off influenza infestation. Some hospitals turn towards limiting the visitation of inpatients to only parents or legal guardians and, sometimes, guests age 13 years and older. Age restrictions help protect young children who are at a higher risk of serious flu-related complications, especially those younger than two years old. Visitation guidelines tend to be temporary and only remain in effect while there’s a high volume of seasonal flu activity. 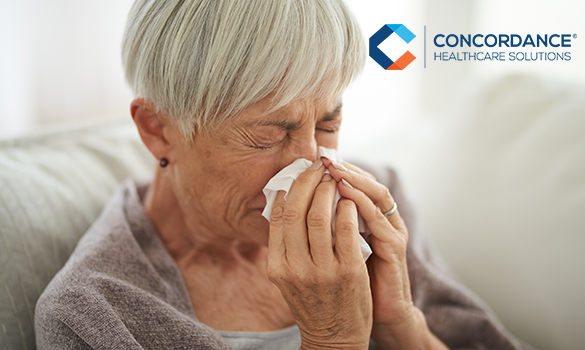 Moreover, hospitals and health systems can also communicate to those experiencing cold and flu symptoms that it is in their best interest, and everyone else's, to postpone visiting family or friends in the hospital until they are symptom free. In addition to restricting visitation, sanitization products such as hand sanitizer stations, spray sanitizer and various cleaning products are essential in further flu prevention efforts. Pairing hand sanitizer availability throughout a hospital or practice along with educational posters and flyers promoting hand hygiene can provide additional protection. In the end, it's all about protecting patients, their families and loved ones. Essentially what it comes down to is this, flu cases need to be diagnosed and treated immediately. 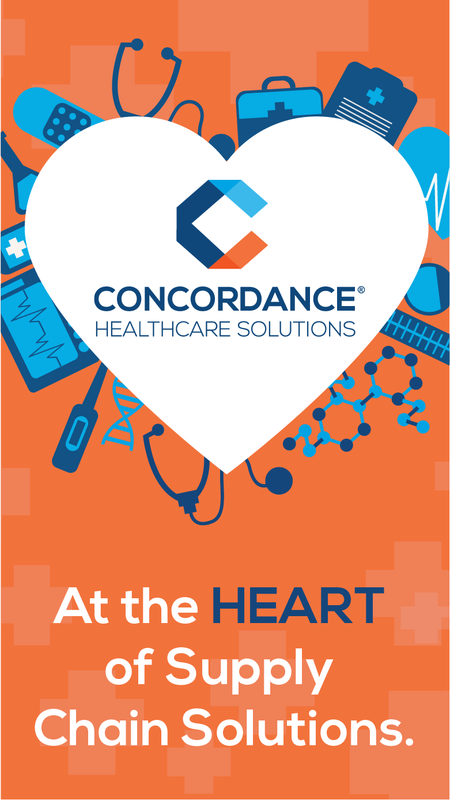 Concordance Healthcare Solutions is prepared to provide the supplies you need to fight the flu. Contact our team of experienced account managers with access to thousands of suppliers today!